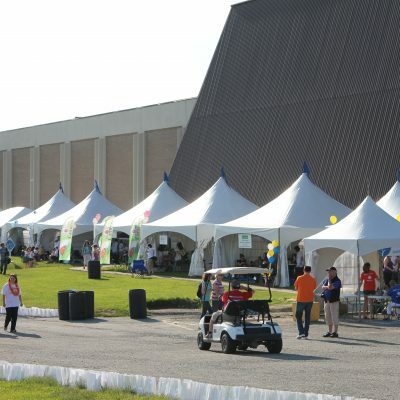 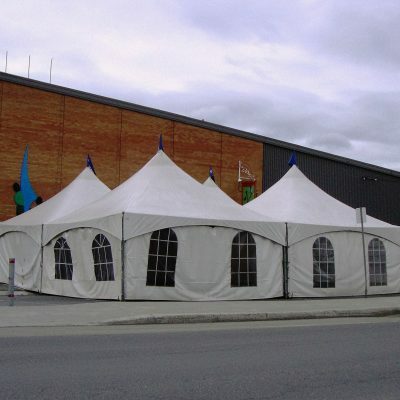 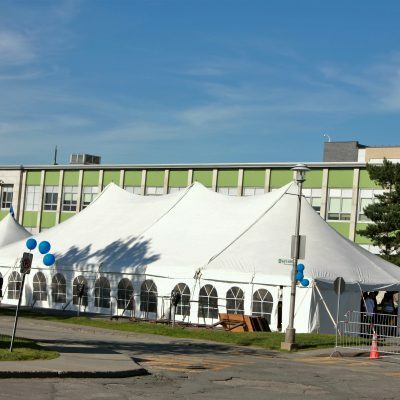 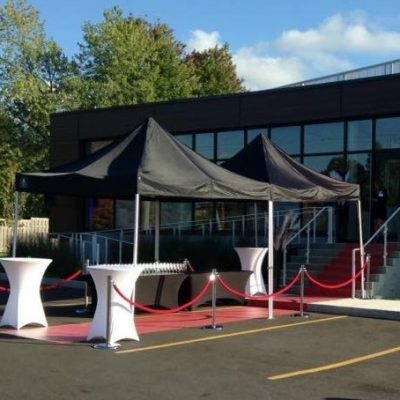 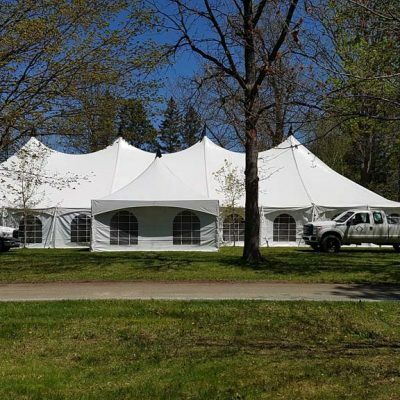 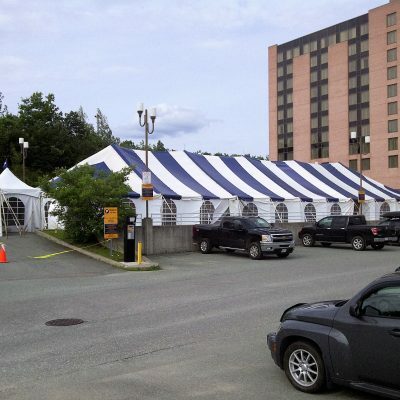 No matter where you are in the Eastern Townships, Canevabec offers a complete tent and marquee rental service. 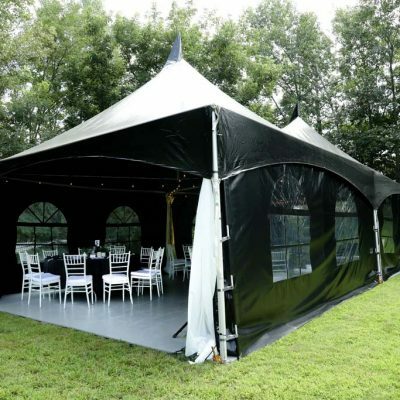 Whether for a party, a wedding, a festival, or a corporate activity, what could be better that ensuring your guests are protected from rain and even from the sun’s burning rays. 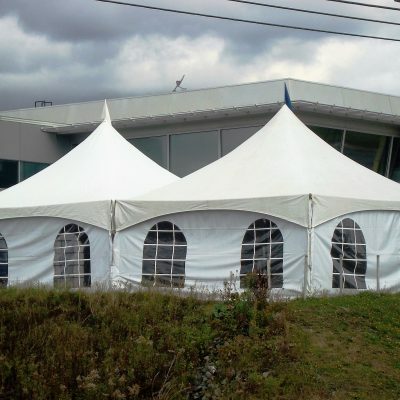 Take advantage of professional installation services and over 70 tents and marquees that can accommodate 20 to 1,200 persons. 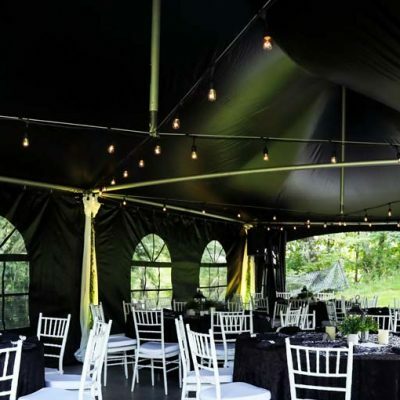 We also offer a wide array of accessories such as tables, chairs, lights, and floors to fulfil all of your needs. 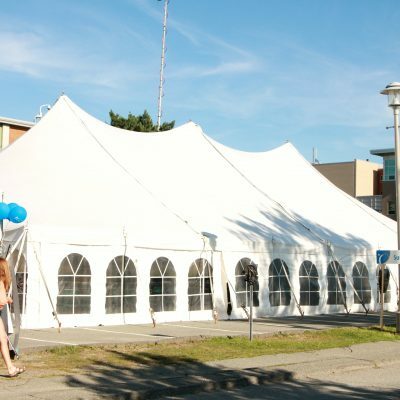 We also offer a 10 X 10 easy-up tent that you can install yourself. 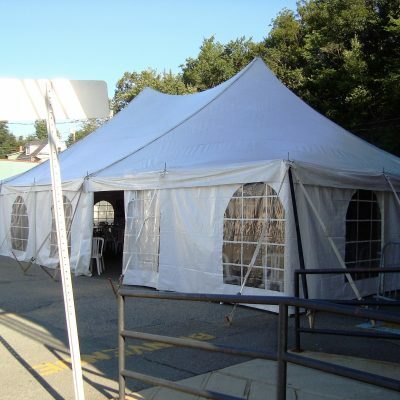 All you have to do is unfold it. 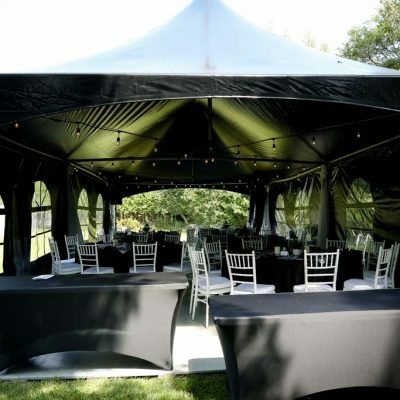 Ideal for a special occasion or a last minute party.